CUIDADO, based out of Boston Massachusetts, formed after the passing of Adam Yauch (MCA) of the Beastie Boys. David McWane vocalist of CUIDADO, who also played drums on the LP and who is better known as the vocalist of Boston punk-ska band Big D and the Kids Table says – “Adam moving on was hard to except; Adam had inspired so many people with his attitude, lyrics and signature bass sound/playing. 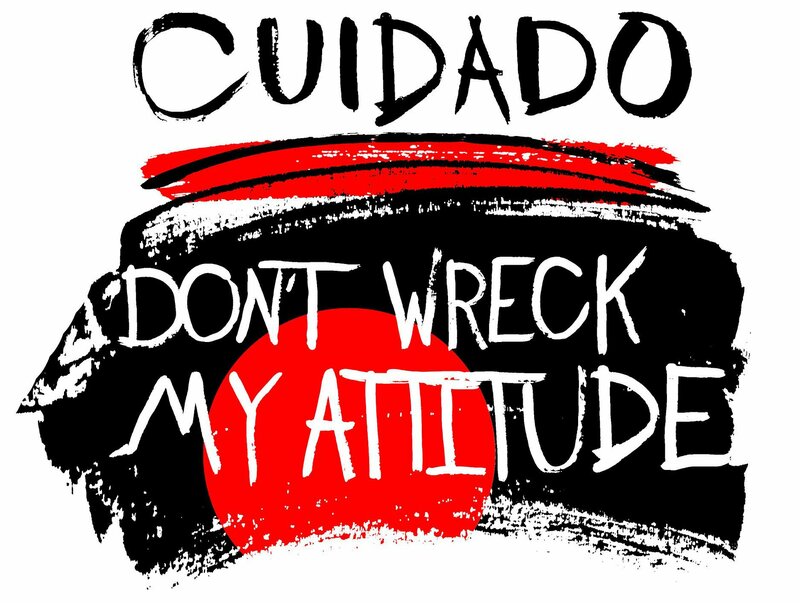 CUIDADO’s LP ‘Don’t Wreck My Attitude’ is an homage to Adam and also to Mark Sandman of Morphine – another loss for the music scene who moved on in 1999.” Described as Beastie punk with Morphine styled sax. The inspirational Dana Colley of Morphine teamed up with McWane and the rest of CUIDADO to bring his original sound to the album. CUIDADO brings deep low power to punk rock and thrash with not only their lead instrument – distorted bass, but also two baritone saxophones and one bass saxophone. Tracks like ‘Spirit’ bring a Bad Brains style to the release, while ‘Leave Me Alone’ and ‘Don’t Wreck My Attitude’ are reminiscent of a more 90’s fueled power. CUIDADO’s debut LP is just that – power. However, tracks like ‘Cramp Your Style’, ‘Rollercoaster Puke’ and ‘Voluntary Douche’ bring a lighter humor reminiscent of The Dead Milkman and Ramones. ‘GUNS, GUNS, GUNS, CATS’ touches upon America’s two favorite things and ‘They’re All Mixed Up’ speaks upon the current brainwashing of extremist Americans. Two instrumental tracks bring back the Bad Brains inspiration and a fun cover of ‘Middle’ from Rocket From The Crypt truly makes ‘Don’t Wreck My Attitude’ an eclectic LP with an originally brash center. CUIDADO hit the clubs playing with such iconic bands as ‘FEAR’ and ‘MDC’. 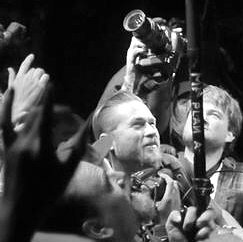 “We here at CUIDADO want to show people that punk can me more than just a commercial hit”.